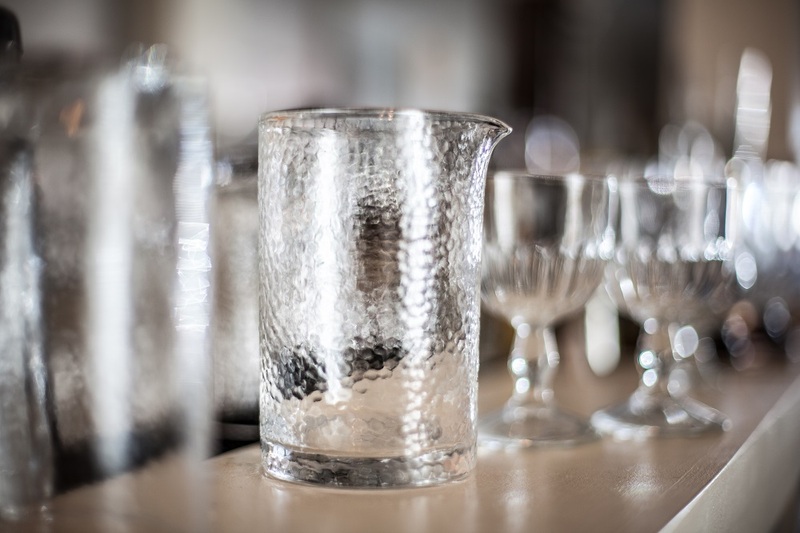 A simple, beautiful vessel with an antique hammered glass finish, this mixing glass makes any cocktail look amazing at the bar. It has a weighted bottom, and fits a hawthorne strainer like a glove. 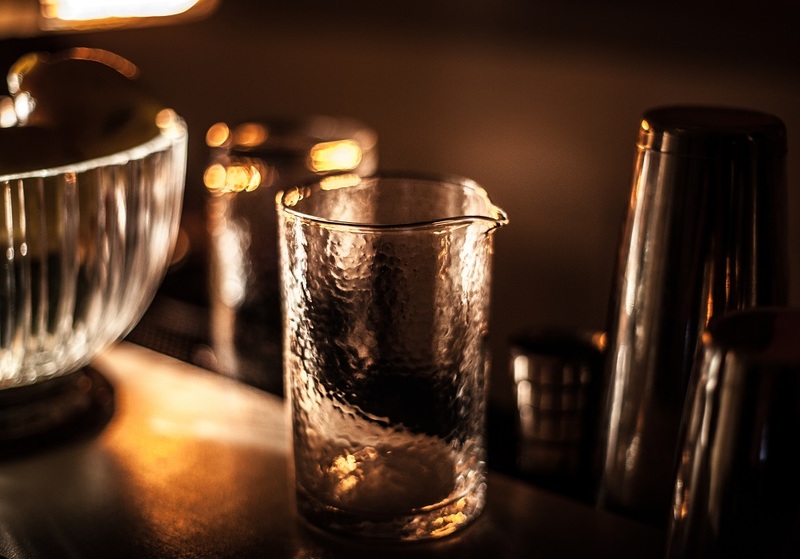 Bartenders say it feels very natural (effortless, even) when stirring, it's a perfect weight to stay put on the bar but not too heavy when straining, and the wall thickness is optimal for chilling drinks quickly. $35 pre-order price. Delivery Spring 2017. Industry-Only case price available soon. A 10" streamlined, solid wood maple muddler with no stains or varnishes which could flake off into your cocktail. The large flat muddle end presses mint, basil, fruits and other ingredients without ripping or tearing. Feels great in your hand, and great in a glass. Finished with natural mineral oil, like all wooden kitchen utensils should be. $15. You can order the Maple Muddler now at our shop. A 10" solid wood ebony muddler with a handle that feels like serious business, but makes muddling an extremely enjoyable endeavor. Ebony is dense, hefty, and polishes naturally to a beautiful sheen with no secondary finishing. $55 Intro Price. Made to order; ships in 2-4 weeks. I missed the Kickstarter! Can I still Pre-Order at Kickstarter Prices? Yep! We will be using Indiegogo's InDemand site to continue to offer pre-orders at Kickstarter prices until we've moved into fulfillment stage for both the Mixing Glass and Ebony Muddler. 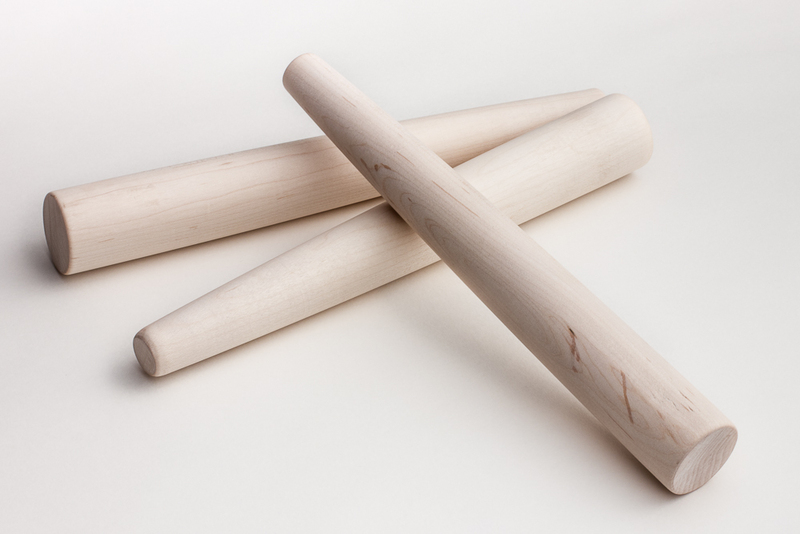 You can order the Maple Muddler now at our shop: Maple Muddler. If you made your Kickstarter goal, why are you using Indiegogo now? 1. We want to continue to give folks a way to pre-order these great tools until they're manufactured and fully available. There are some legal reasons whey we can't do that on our site, and Indiegogo is a perfect way to continue to make pre-sales available. 2. The $10,000 Kickstarter goal was really the minimum we needed in order to place our order for the Mixing Glasses, and make sure we can ship them out to you with packaging and postage. It also paid for some tools to set us up to make muddlers, and buy a small quantity of wood to get started. However, we'll run out of that wood pretty quickly, and the only way to get more is to get it from Cameroon. There is a lot of wood over there that can't be used for guitar making. But it needs to be purchased in a big lump sum, so it can be put on a shipping container and sent over. We can't just buy it one at a time anymore. We estimate that $5,000 would help us buy enough Ebony to supply us for the next 12-18 months. Considering it will take several months to ship to us, and then several months of drying before we can use it, we really don't have that much time to place an order! Where can I find the Kickstarter Project? What's with the ebony wood? Why isn't it all black? Ebony has a reputation as being pure black, but that’s not how all ebony is. If you watch this video of Bob Taylor shedding light on ebony harvesting practices, you’ll have learned that only about 1 in every 10 ebony trees has a solid black core. The only way to know if an ebony tree was solid black in the middle was to chop down trees until you found one. Rather than continue this grossly unsustainable practice of wasteful harvesting in order to supply ebony consumers with pure black wood, all 10 trees are now harvested and supplied to end users. This means that 1) we won’t run out of ebony, and 2) the ebony that is now used today has color in it. And it’s beautiful! Swirls and fades of grey and blonde add character and a completely unique aesthetic to each muddler we make. So please embrace this new era of ebony, and celebrate the color of the wood with us! Have a need-to-know question that's not addressed here? Send us a message and we'll get back to you, pronto.